Each year we give out scholarships and grants to students, chapters, educators and professionals. In achieving our mission we award funding of grants and scholarships to promote the recorder and to provide resources and opportunities to our diverse recorder community. Funding for Scholarships and grants comes from the generous support of donors. Please consider making a gift to support this program. 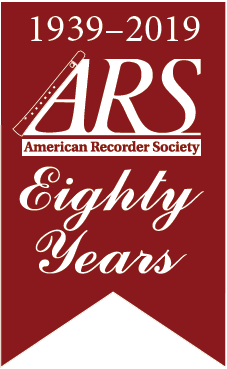 Professional Development Grants: Any recorder professional, meeting certain criteria, may apply to ARS for support of their professional development pursuits. Primarily funding the ARS Recorder Residency at the Sitka Center for Art and Ecology, applications for other venues will be considered. Deadline: September 15 of the year preceding the proposed residency or project. Chapter Grants: These grants are awarded to chapters with 10 or more members to supplement membership-enhancing programs. Click here for answers to Frequently Asked Questions about Scholarships and Grants.